Join over 2,000,000 People as We Continue to Share The Truth About Cancer. Subscribe to Our Newsletter and Get Your FREE eBook Today. Editor’s Note: This article first appeared in the Nov 2015 edition of TTAC’s Heroes Against Cancer member newsletter. As I discussed at great length in Part 1 of this two-part series, chronic inflammation is a devastating health condition that’s responsible for many of the most prolific diseases afflicting modern man, including cancer. It often hides in the shadows undetected, and by the time it starts to show tangible symptoms, it’s typically already developed into a more serious health condition requiring critical intervention. If you caught the first part of this series (which you can read here), you already know that most conventional remedies for chronic inflammation fail to address it at its root cause. This explains why millions of chronically ill people who suffer from inflammatory health conditions are desperate for real solutions. You also now know that increasing your dietary intake of omega-3 fatty acids and reducing your intake of omega-6 fatty acids is one solid way to help mitigate the systemic inflammation that often leads to chronic disease. 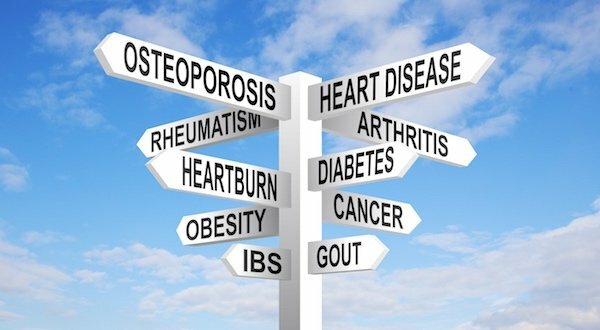 But there’s a plethora of other dietary and lifestyle factors that impact your body’s inflammatory state. And in keeping with the promise I made to you in Part 1, I’ve unpacked these for you here in Part 2 so you can make more informed choices concerning foods that cause inflammation, inflammatory foods to avoid, the supplements you take, and even the mindset and thought processes you subscribe to on a daily basis that could be harming you physically. In Part 1, I primarily addressed the issue of fats and oils, divulging the “bad” kinds that you should avoid to keep inflammation in check. 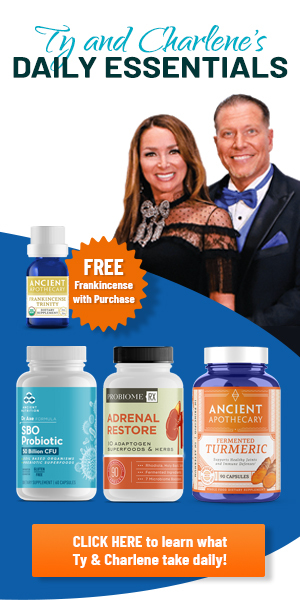 I also provided you with healthy alternatives that help combat inflammation while nourishing your body with anti-inflammatory nutrients like EPA (eicosapentaenoic acid) and DHA (docosahexaenoic acid). Now I’d like to focus on other pro-inflammatory foods and food ingredients that science has shown are highly damaging to the human body. In nearly every instance, these foods are heavily processed or otherwise chemically modified to provide immediate sensory gratification at the expense of your longterm health. This includes common ingredients such as highfructose corn syrup (HFCS), “sugar” (which on ingredient labels typically refers to the small, white sucrose crystals we’re all familiar with), glucosefructose syrup, and even “evaporated cane juice,” which is still a type of refined sugar. 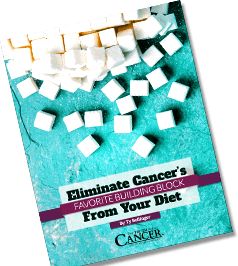 Fred Hutch (formerly known as the Fred Hutchinson Cancer Research Center) warns that consuming refined sugar is a major risk factor for weight gain and obesity, type-2 diabetes, and cardiovascular disease. 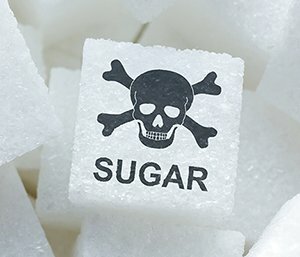 Consuming refined sugar also contributes to an increase in advanced glycation end-products, or AGEs, a type of harmful protein that the immune system tries to break apart by sending out inflammatory cytokines. Many people aren’t aware that grains contain “antinutrients” like lectins and mineral-binding phytates that provoke an inflammatory response in the body. Traditional grain preparation methods like soaking and fermenting help remove these substances, but modern methods typically don’t. A 2013 paper published in the journal Nutrients found that anti-nutrients in cereal grains increase intestinal permeability and provoke malabsorption of both macro- and micronutrients. 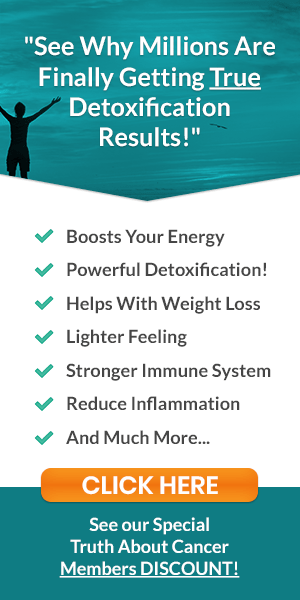 These triggers initiate an inflammatory response that, over time, causes systemic immune damage, which can result in conditions like inflammatory bowel disease (IBS), chronic fatigue, arthritis, asthma, and other health conditions. Also a grain, modern wheat, and especially the gluten it contains, tends to be highly inflammatory. 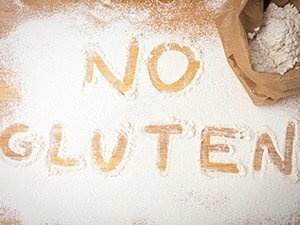 In many people, wheat gluten and other wheat components like lectin provoke an immunoglobulin E (IgE) allergic reaction that, over time, can snowball in serious health conditions like asthma, Celiac disease, rhinitis, and contact urticaria. Research published in a 2013 issue of the Journal of Nutritional Biochemistry found that removing wheat gluten from one’s diet helps improve key factors associated not only with weight gain but also with fatty acid oxidation and lipolysis. Put simply, a gluten-free diet helps improve blood sugar homeostasis and minimize the expression of pro-inflammatory molecules and receptors throughout the body. Biotechnology is everywhere these days – in food, drugs, and even clothing! Most soy, corn, canola, cotton, and sugar components and their derivatives are now made from GMOs, and independent research has confirmed that these substances are an inflammatory nightmare. Epidemiologist and biotechnology expert Dr. Judy Carman has been researching GMOs for many years, and she warns that these ubiquitous additives and the chemicals with which they are sprayed provoke inflammation of the stomach and intestinal lining, and have repeatedly been shown in independent inquiry to damage vital organs. This is by no means an exhaustive list. But it captures many of the most common inflammatory stressors, and foods that you should absolutely avoid in the interest of protecting your health. You should also take note of your lifestyle habits, which may also be contributing to systemic inflammation in ways of which you’re not even aware. Research has shown that chronic stress literally alters your immune system in such a way that your immune cells think they’re fighting some kind of trauma or infection – even when they’re not. When these immune cells enter your bloodstream in this altered state, they provoke an inflammatory response that literally alters your genetic expression, potentially leading to chronic disease. An animal study published in the journal Proceedings of the National Academy of Sciences found that a stressful lifestyle contributes to the up-regulated production of pro-inflammatory bone marrow monocytes, which circulate throughout the body lighting inflammatory “fires,” so to speak, in the arteries and vital organs. Rest is important both for stress relief and systemic healing. When you don’t get enough sleep your body goes into overdrive by releasing many of the same inflammatory cytokines associated with poor diet, which is why it’s important to maintain regular sleep cycles of at least six, and preferably eight, hours of sleep every night. Research published in the journal Best Practice & Research Clinical Endocrinology reveals how mediators of inflammation increase dramatically when normal sleep patterns are disrupted. Even just one full day of missed sleep can trigger this inflammatory response, as can getting only four hours of sleep in a night rather than eight. Somewhat of a “which came first: the chicken or the egg?” conundrum, anxiety and depression are increasingly being linked to chronic inflammation. Some research suggests that these mental conditions are a cause of inflammation, while others purport that they’re a result. In either case, your frame of mind is intricately connected with your physical mind. 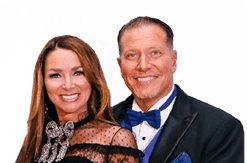 Dr. Gary Kaplan is an osteopathic physician from the Kaplan Center for Integrative Medicine in Virginia who specializes in this particular field of study. His conclusion, after combing through the evidence and observing patients in his clinic who’ve come to him with inexplicable depression, anxiety, and even chronic pain, is that these conditions often result from an underlying inflammatory condition, typically in the brain. These cerebral effects, he explains, are the result of overactive microglia immune cells, which are believed to be a driving factor behind increasingly common health conditions like chronic fatigue and insoluble pain symptoms. Dr. Kaplan’s hypothesis is a rational one based on what we currently know about human physiology. If chronic inflammation is characterized by an aberrant immune response that damages bodily tissue over time, which it is, then it only makes sense that chronic inflammation of the brain results in systemic damage there just as it does elsewhere throughout the body. Recognizing that the early stages of chronic inflammation are often symptomless, it’s important to catch this silent killer early and do something about it before it’s too late. How is this done? Thanks to advancements in modern medicine, we now have effective diagnostic tools that enable us to identify factors of inflammation so we can nip them in the bud using the methods I’ll further outline below. Specialized blood tests will look for factors of chronic inflammation like high sensitivity C-reactive proteins (hs-CRP), fibrinogen, tumor necrosis factor-alpha (TNF-α), interleukin-1 beta (IL-1β), interleukin-6 (IL-6), and interleukin-8 (IL-8). 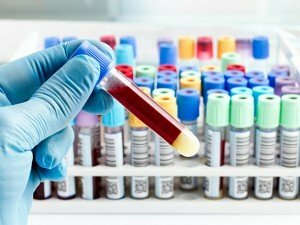 Many doctors will also order blood tests that evaluate erythrocyte sedimentation rate (ESR) and plasma viscosity, both of which serve as monitors of inflammation. Poor adrenal function, or adrenal fatigue, is another indicator of inflammation. Your adrenal glands are what regulate your body’s stress response, which I early mentioned is a significant inflammatory factor. The acclaimed Dr. Daniel Kalish recommends having your adrenal function tested using a saliva and urine protocol, or by undergoing a hair sample analysis (along with the rest of his proven “Kalish Method”). Dr. Kalish emphasizes the interconnectedness of stress, adrenal function, cortisol levels, and inflammation as part of his protocol, and I’m in full agreement. In order to truly ascertain where you stand, it’s important to not only identify inflammation through proper testing, but also to bolster your adrenal function which will help mitigate it. Earlier I warned you to avoid refined sugars, grains, wheat, and GMOs because these foods are pro-inflammatory. This might seem daunting because one or more of each of these is found in nearly everything sold on grocery store shelves these days. But if you have the time, and more importantly the discipline, it’s not as difficult as you might think to make better food choices. Rather than opt for “cheap” carbohydrates in the form of processed grains and sugars, for instance, instead choose complex carbohydrates in the form of cruciferous vegetables (broccoli, cauliflower, Brussels sprouts), leafy greens, fermented vegetables and other cultured foods, and “slow-burning” carbohydrate foods like sweet potatoes. Dr. Mark Hyman talks about this extensively in his book Eat Your Medicine, noting that a majority of one’s diet should be composed of low-starch, lowglycemic vegetables that are rich in fiber. These include the aforementioned greens as well as many others including cucumbers, asparagus, and dandelion greens. Complex carbohydrates from fresh, organic vegetables and legumes. Clean protein from pastured, grass-fed, organic meats; almonds, walnuts, and other nutrient dense nuts (preferably soaked or sprouted first to make them more digestible); pastured eggs (whole, not just the whites! ); protein-dense seeds like chia and hemp; wild fish (preferably from remote areas of the ocean far away from heavy metal pollution and radiation, i.e. the Pacific waters near Fukushima in Japan); and bone broth made from pastured, organic animals. Fresh fruit is also acceptable, but again, make sure it’s organic. Even more importantly, make sure it’s the right kind of fruit. 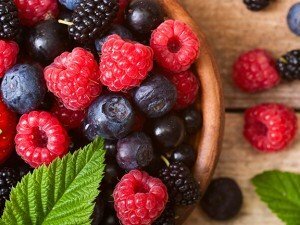 High-sugar fruits like grapes and bananas aren’t as beneficial as blueberries, for instance, which contain much higher levels of anti-inflammatory compounds and disease-fighting antioxidants. No anti-inflammatory diet would be complete without anti-inflammatory herbs and spices. Many contain antioxidant phenols that help block glycation and the formation of pro-inflammatory advanced glycation end products, as well as help repair the intestinal damage linked to chronic inflammation. Cloves – This effervescent spice ranks among the most potent anti-inflammatory spices in the world, according to a study published in the Journal of Medicinal Foods. Ginger – One study suggests ginger is as strong and effective as many non-steroidal antiinflammatory drugs, except without the harmful side effects! Turmeric (curcumin) – This is one of the most powerful medicinal herbs on the planet, and one I believe belongs in everyone’s diet. 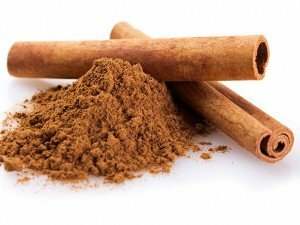 Cinnamon – Cinnamon is loaded with powerful antioxidants and may lower blood sugar in people with diabetes. Oregano – Numerous compounds in this common cooking spice, including thymol and carvacrol, help reduce levels of pro-inflammatory cytokines. Marjoram – A study published in the American Journal of Chinese Medicine found that this tasty Mediterranean spice not only heals gastrointestinal ulcers but also repairs damage intestinal walls. This is where pro-inflammatory substances enter the body and cause serious damage. Sage – Studies have shown that sage supports healthy immune function and exhibits strong anti-inflammatory properties. It’s also inherently anti-cancer! 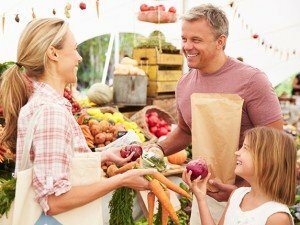 Practicing healthy lifestyle habits goes hand-in-hand with eating right. You can consume all the antiinflammatory foods and herbs in the world and still be prone to damaging inflammation if you’re not adhering to a healthy sleep schedule, for instance, or if you’re constantly stressed beyond your body’s capacity to overcome it. Sleep at least eight hours every night and try to go to bed before 10 pm, if possible. Your body’s rhythmic patterns are dependent upon proper sleep, which is the time when your immune system is regenerated and human growth hormone (HGH) is produced. Exercise every day to get your blood pumping and your hormones flowing. High-intensity interval training not only helps improve immunity and HGH production, but also helps normalize blood pressure and blood sugar levels. 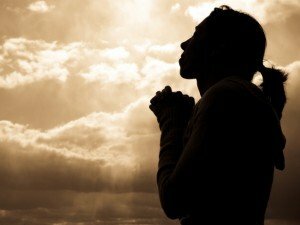 Take the time to pray or meditate. Clearing your mind of the stresses of the day and focusing on the things you’re thankful for, for instance, is a great way to set your body at ease and minimize inflammatory stressors. Zinc has been shown to both lower systemic inflammation and protect against cardiovascular disease. Magnesium decreases C-reactive protein levels and helps protect against metabolic disease. Gotu Kola is a “wonder” herb due to its antiinflammatory, antioxidant, and wound- and tissue-healing properties. Melatonin is a natural hormone that your body produces to induce sleep, but it also helps improve injury recovery and muscle regeneration, not to mention its ability to quell chronic inflammation. Vitamin D offers so many health benefits that it’s difficult to know where to start! But as far as inflammation is concerned, this one is a must. Probiotics help regenerate intestinal microflora that protect your intestinal lining against inflammatory invasion. Resveratrol is a polyphenolic component found in grapes and red wine that studies have shown counteracts systemic inflammation. Essential Oils, and specifically those of thyme, clove, rose, eucalyptus, fennel, and bergamot, are scientifically proven anti-inflammatory compounds that can work better than NSAID COX-2 inhibitor drugs such as aspirin and ibuprofen. My hope is that this series on inflammation taught you a lot about this important subject, equipping you with the information and tools you need to make positive dietary and lifestyle changes to reduce your inflammatory risk and ultimately avoid diseases like cancer. Would you like to know ALL the ways to prevent, treat, and beat cancer? If so, you’ll love what you discover here. There are many pro-inflammatory foods and food ingredients that science has shown are highly damaging to the human body. In nearly every instance these foods that cause inflammation are heavily processed or otherwise chemically modified. Leave processed foods on the shelf and choose complex carbohydrates in the form of cruciferous vegetables, leafy greens, fermented vegetables and other cultured foods, and “slow-burning” carbohydrate foods like sweet potatoes. 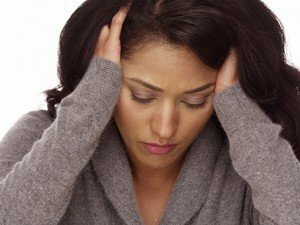 Is Inflammation What’s Causing Your Depression? A Better Kind of Sugar?  Looking for more life-saving content? Join our FREE email list now for exclusive content hand-picked just for YOU! See the Truth About Cancer® here. Over 20,000 people die each day from cancer. So if it scares you, that’s understandable. However… whether you’re trying to avoid cancer or beat it if you’ve got it, there is one very powerful antidote to the fear, and to the disease itself: knowledge. Click here now to conquer the fear, and find out what you really need to know. 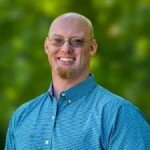 Dr. Daniel "Doc" Nuzum has a vast and broad background in many facets of Natural Medicine. Doc grew up with his 32 adopted brother and sisters under the care of his parents, who are Naturopathic Physicians also. Growing up in a Naturopathic environment strongly influenced Doc's decision to follow the Medical path he is on. He is a Tribal Health Department Licensed and Certified Native American Practitioner with training as a Doctor of Naturopathic Medicine, Doctor of Osteopathy, Doctor of Naprapathic Medicine and Doctor of Indigenous and Traditional Medicine (including both Oriental Medicine and Native American Medicine).Dr. Nuzum is the Professor of Osteopathy and Indigenous and Traditional Medicine at the Panam University of Medicine and Natural Health Sciences in both Nevis/St.Kitts in the West Indies and in Loma Linda, Ecuador. He has a flourishing Naturopathic/ Osteopathic practice in Nampa, Idaho, and travels to the Nevis and Loma Linda campuses teaching frequently. He has 3 primary passions about Medicine, Religion and Martial Arts. He is a 6th degree black belt in Tae Kwon Do and Chinese Kenpo. Let’s end the cancer pandemic once and for all! Every single day, tens of thousands of people, just like you, are curing cancer (and/or preventing it) from destroying their bodies. Want to stay up to date with the latest news on cancer prevention and life-saving treatment methods for FREE? 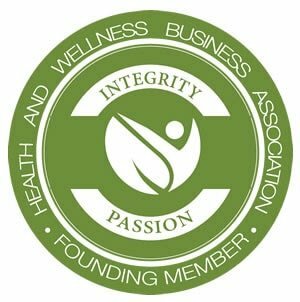 TTAC Publilshing is a member of the Health and Wellness Business Association. The Truth About Cancer® and The Quest For The Cures™ are registered Trademarks of TTAC Publishing LLC. All rights reserved. Disclaimer: The content of this website is based on research conducted by TTAC Publishing, LLC, unless otherwise noted. The information is presented for educational purposes only and is not intended to diagnose or prescribe for any medical or psychological condition, nor to prevent, treat, mitigate or cure such conditions. The information contained herein is not intended to replace a one-on-one relationship with a doctor or qualified healthcare professional. Therefore, this information is not intended as medical advice, but rather a sharing of knowledge and information based on research and experience. TTAC Publishing encourages you to make your own health care decisions based on your judgment and research in partnership with a qualified healthcare professional. If you purchase anything through this website, you should assume that we have an affiliate relationship with the company providing the product or service that you purchase, and that we will be paid in some way. We recommend that you do your own independent research before purchasing anything.